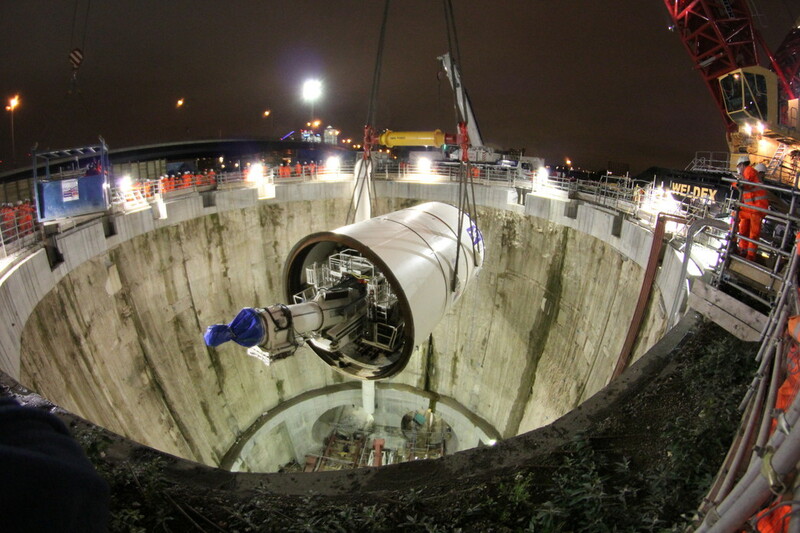 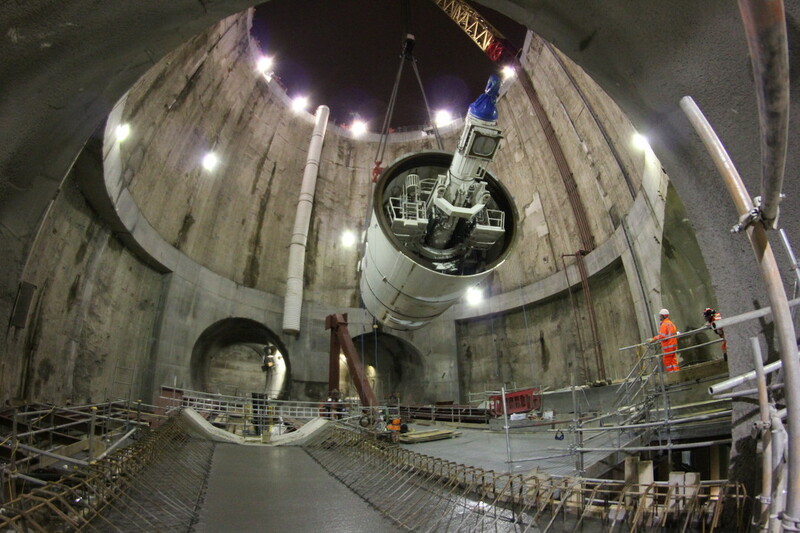 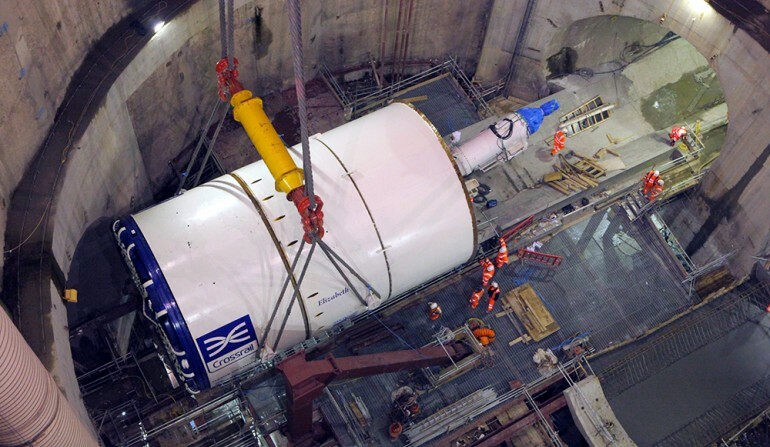 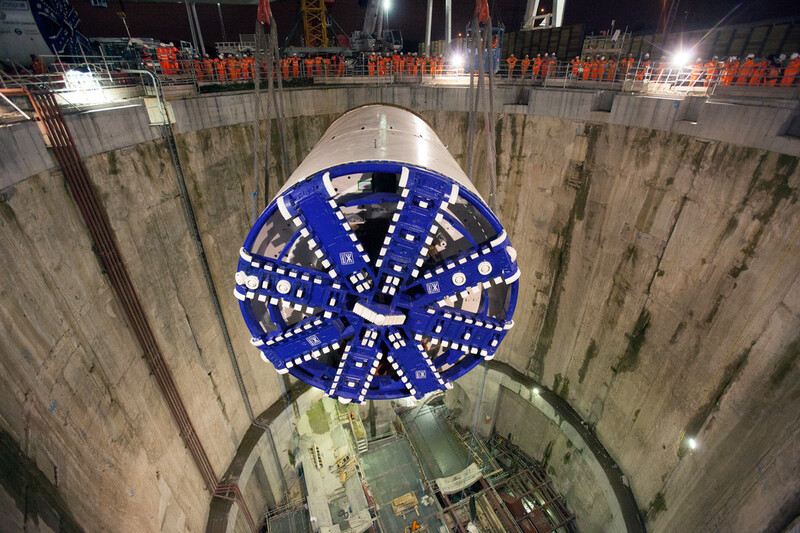 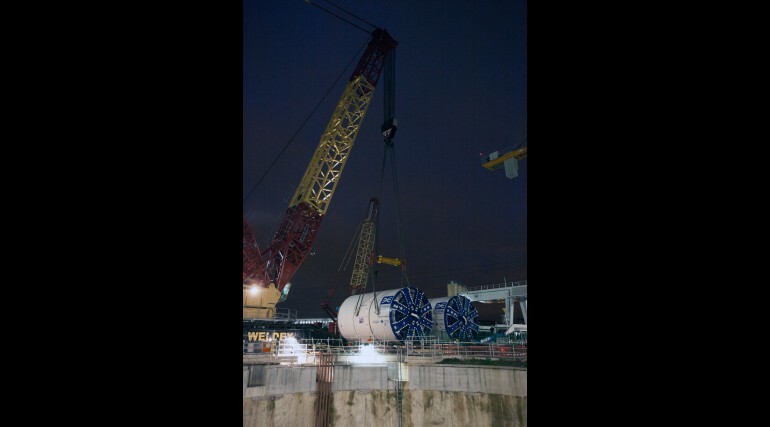 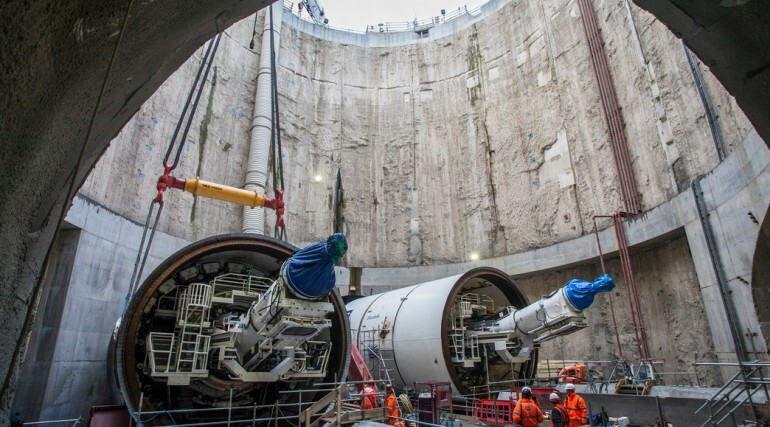 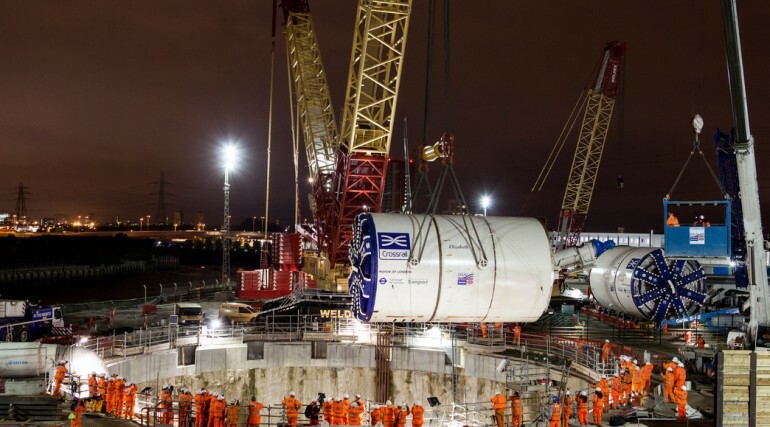 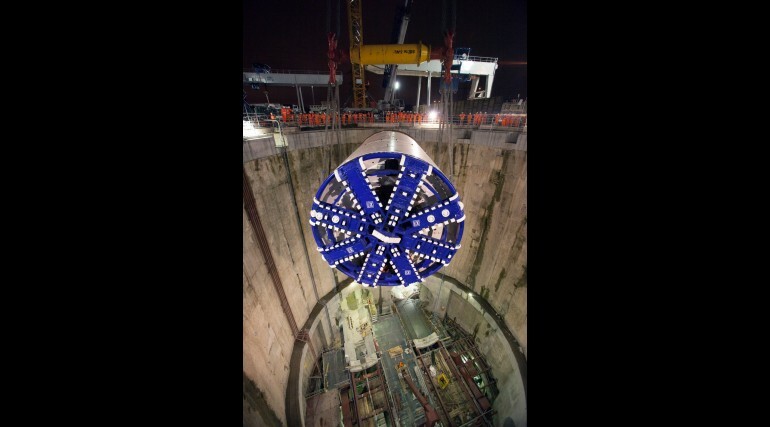 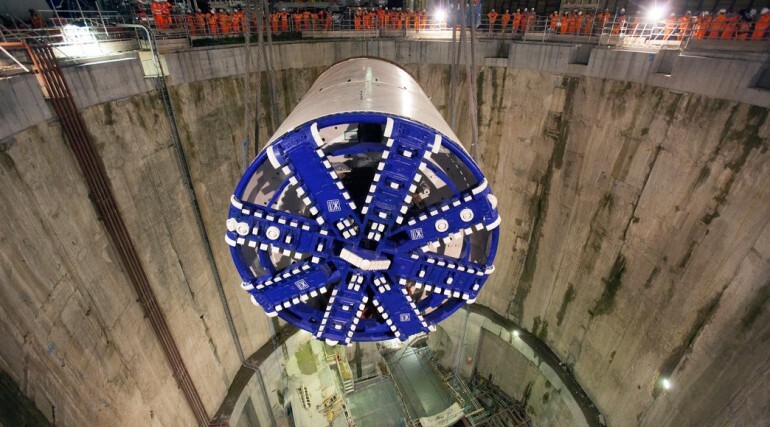 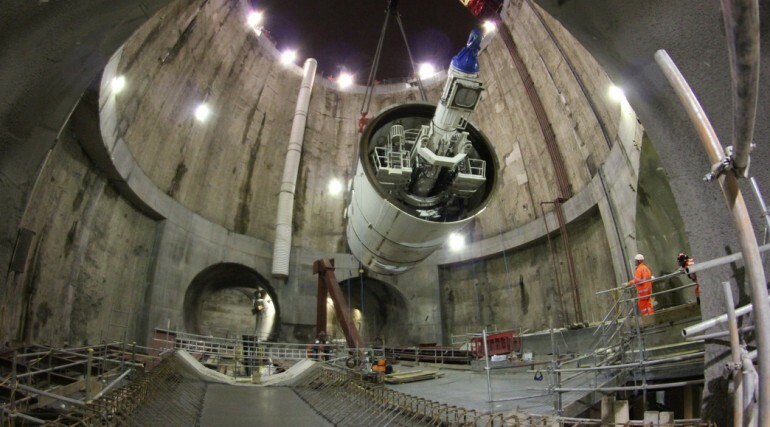 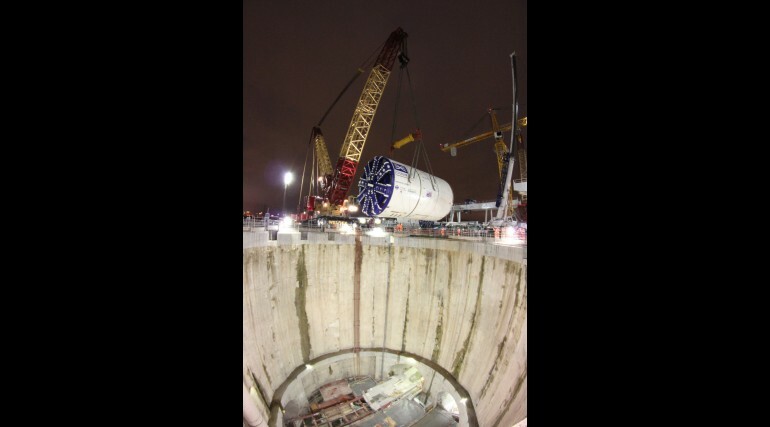 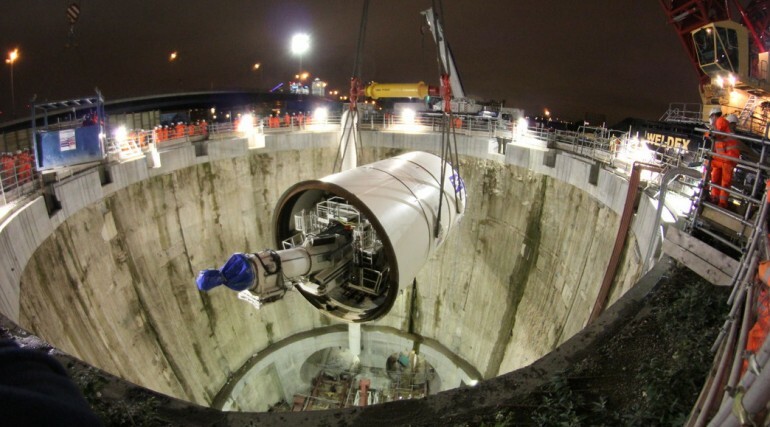 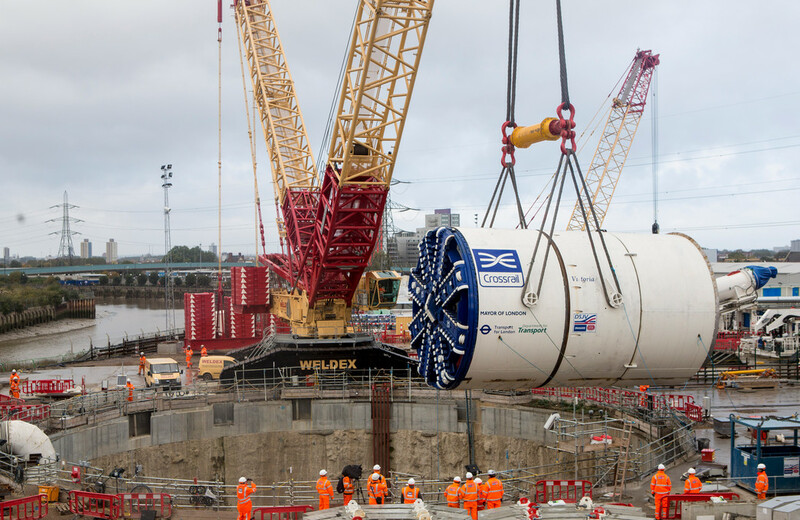 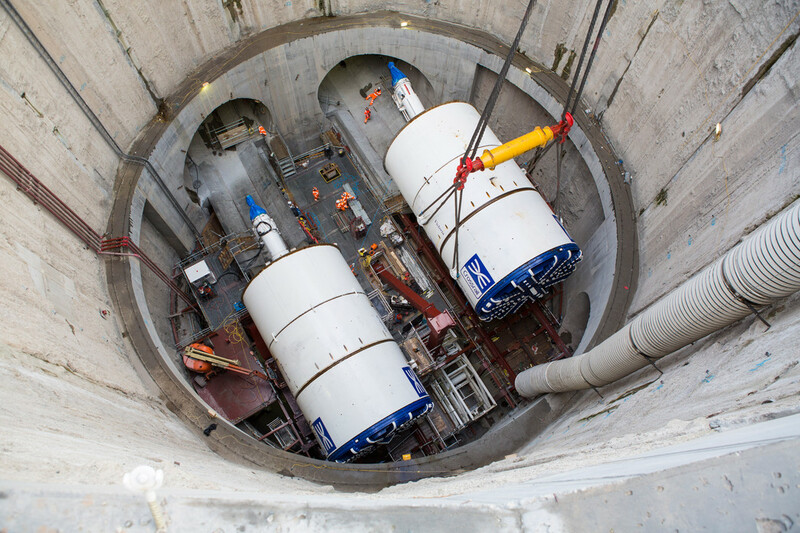 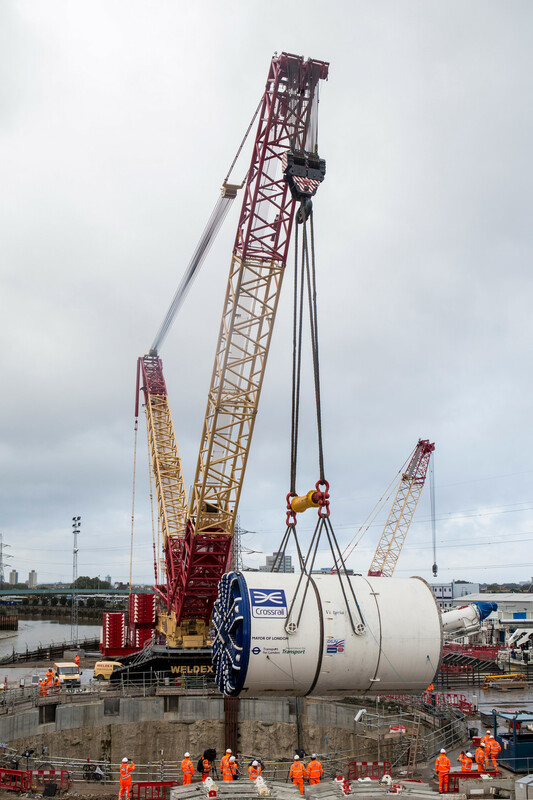 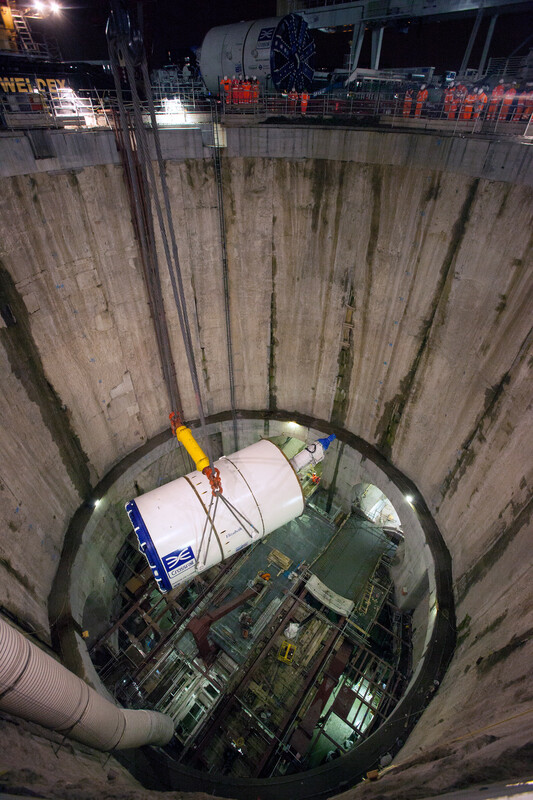 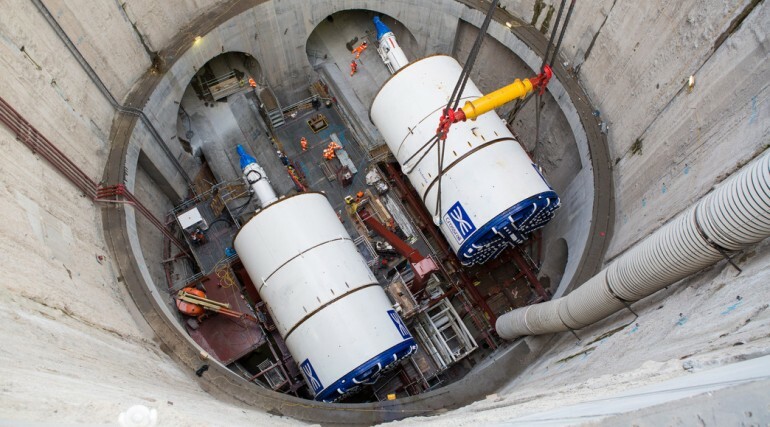 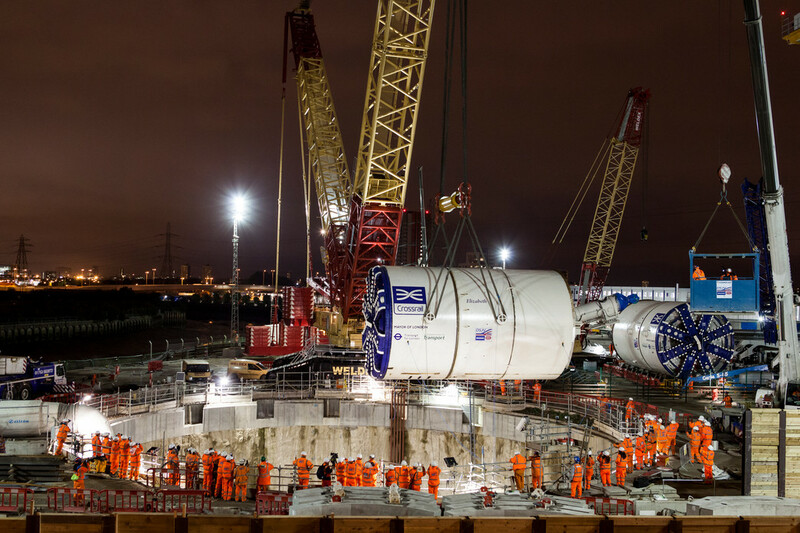 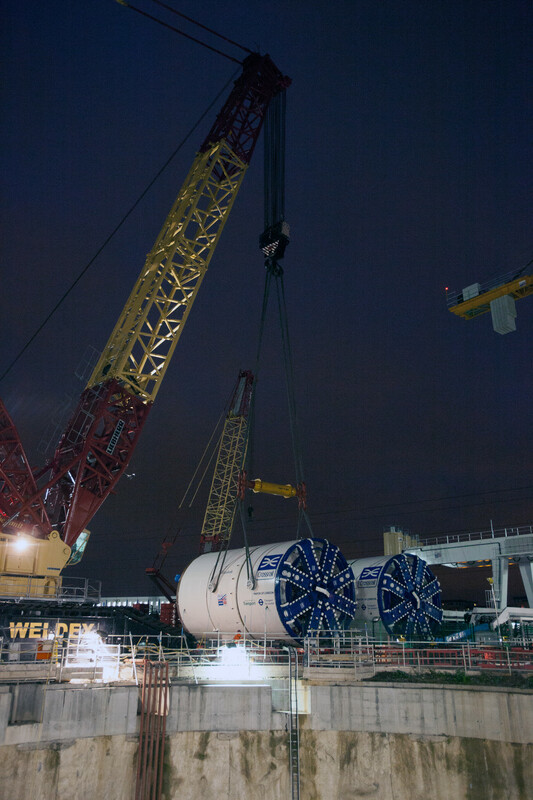 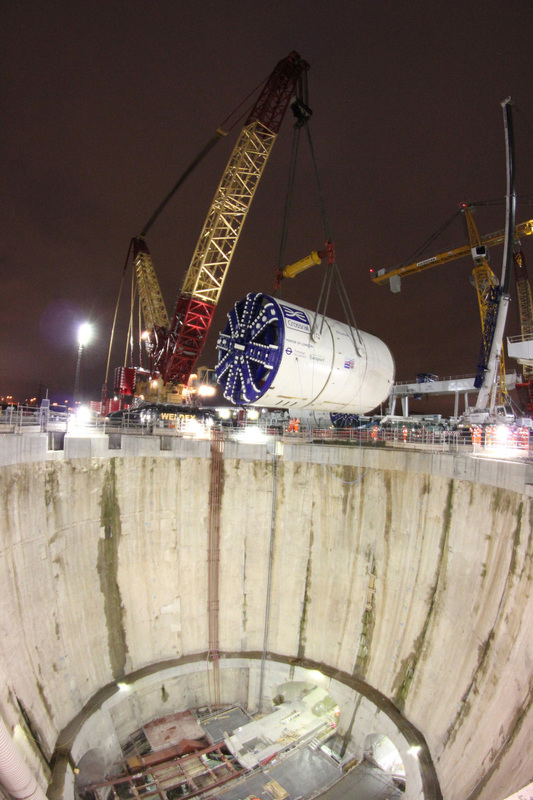 Video: Crossrail's TBM's Victoria and Elizabeth lowered into the ground - Crossrail . 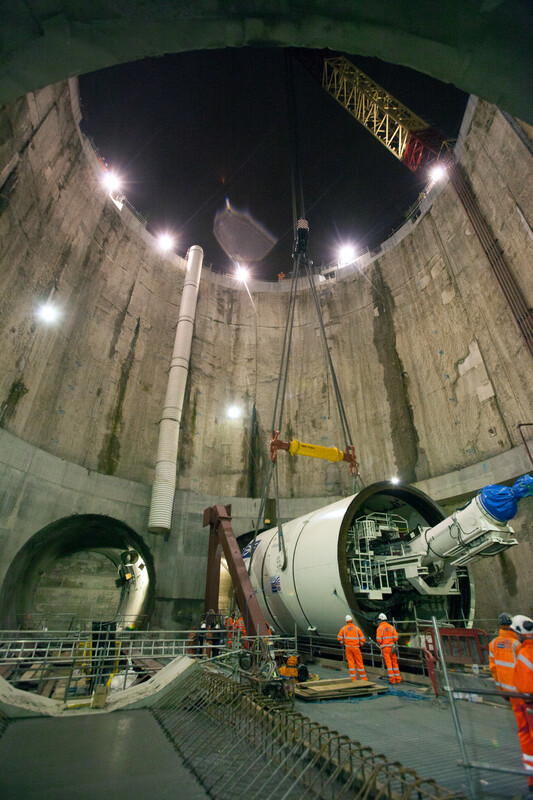 For information about the Elizabeth line please visit the Transport for London website. 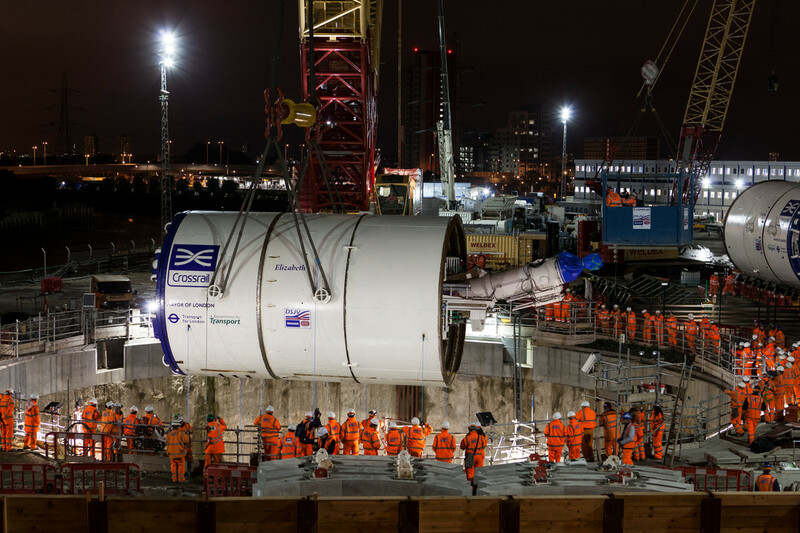 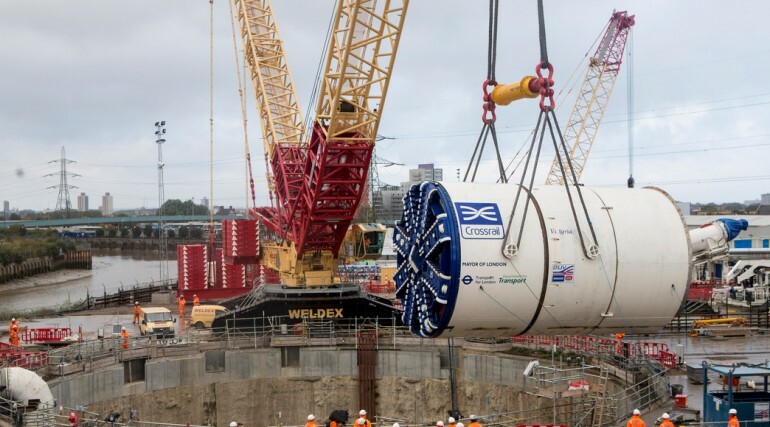 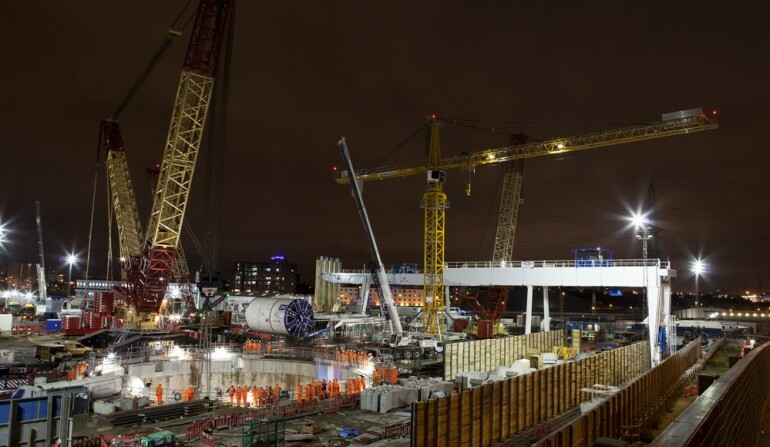 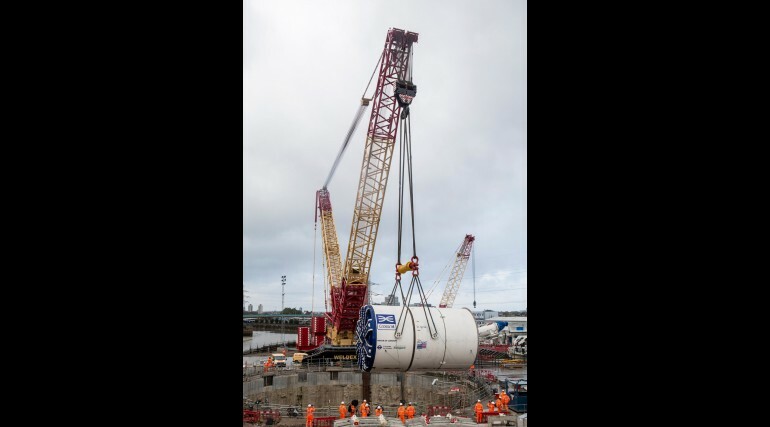 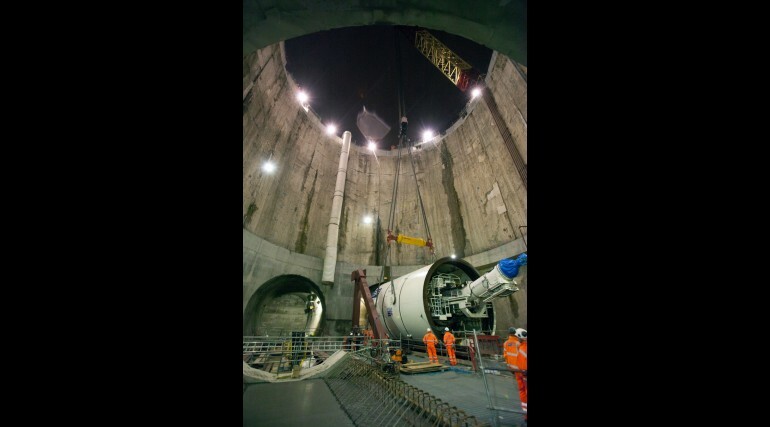 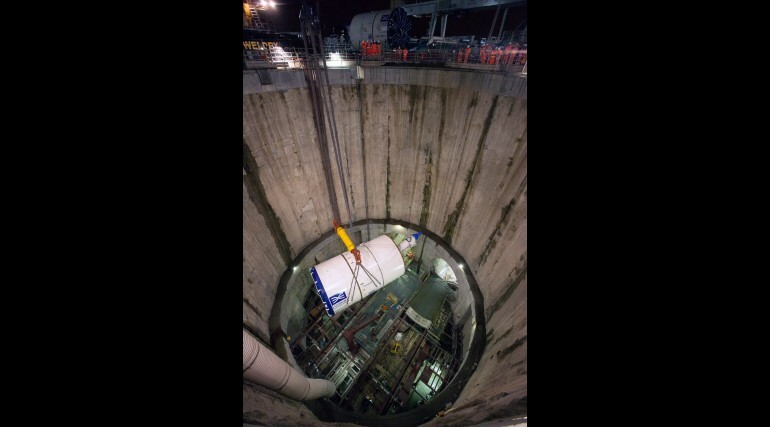 Crossrail has marked a major milestone in the construction of London's new rail line with the lowering of a 550 tonne tunnelling machines into a 40 metre deep shaft in east London, ahead of the start of tunnelling for Crossrail's eastern section of the new rail line. 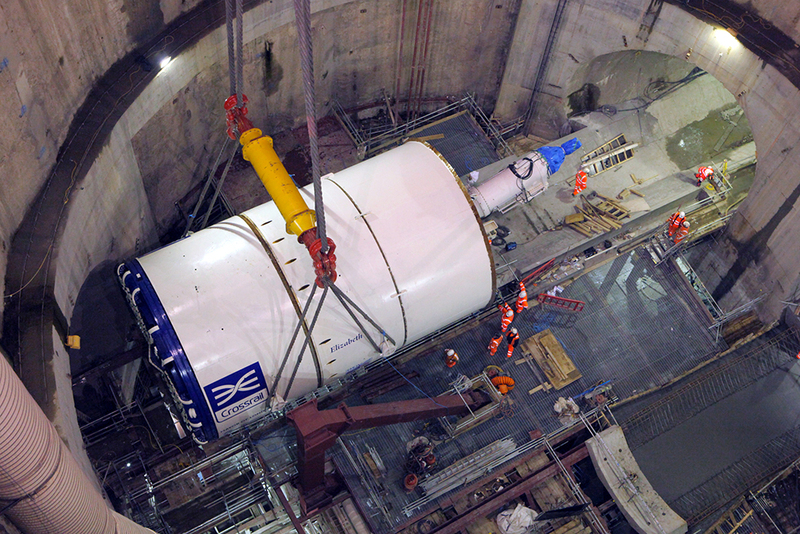 The delicate operation required one of the largest cranes in Europe to lift the equivalent of 280 London taxis. 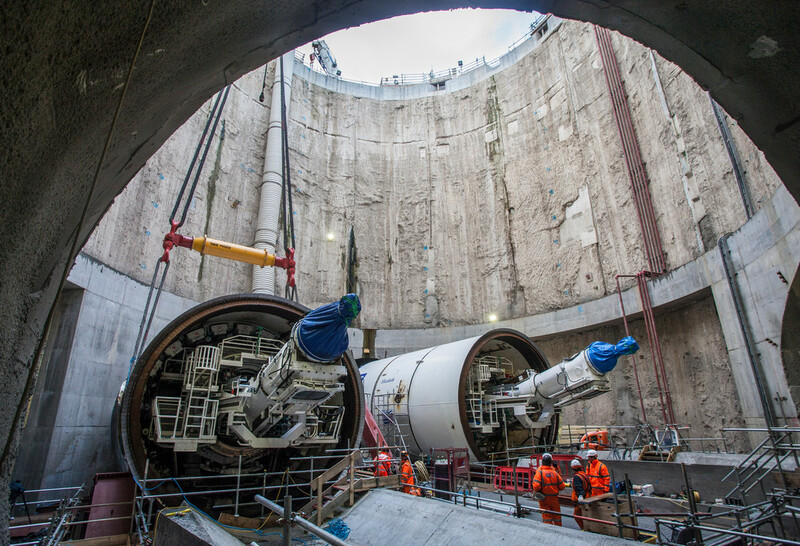 Perfect weather conditions were needed and the light winds and no rain allowed for Elizabeth and Victoria, her sister machine, to be moved underground. 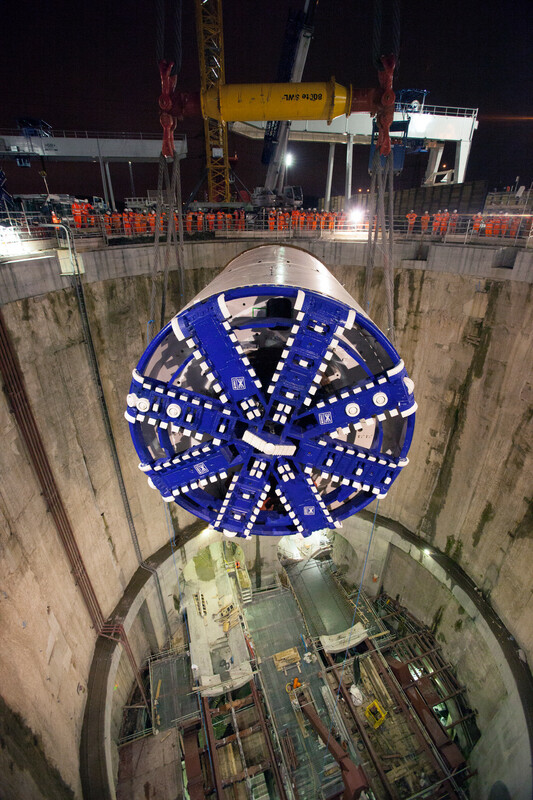 Elizabeth will start tunnelling later this year, travelling under the River Lea towards Canary Wharf. 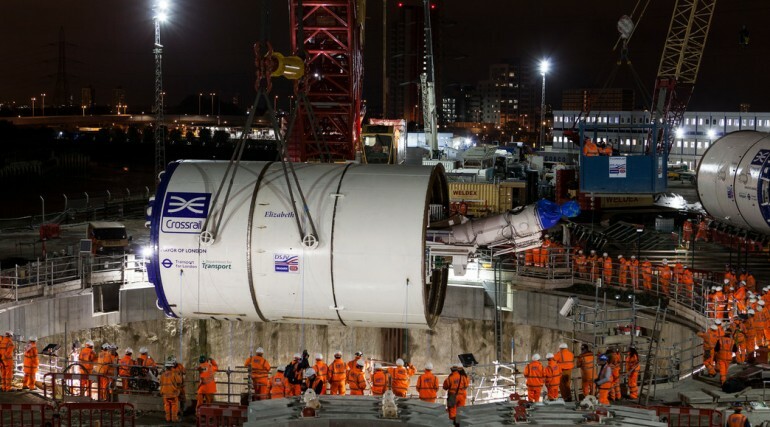 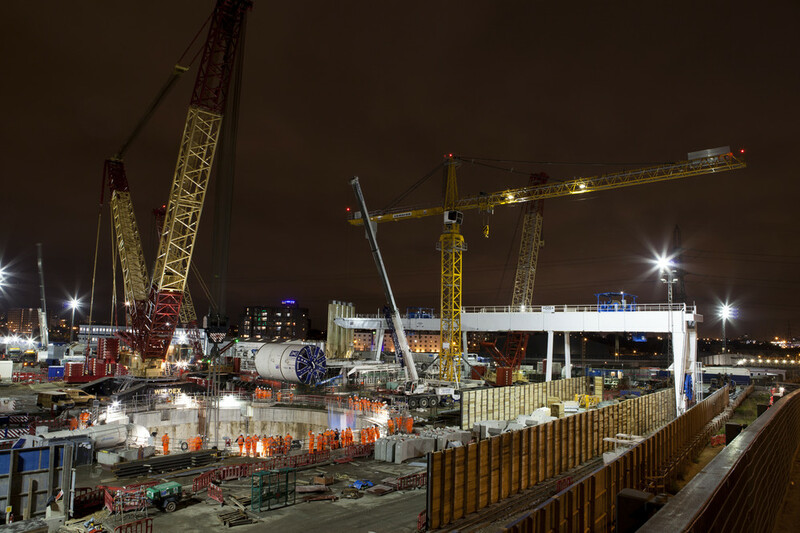 Work has started to prepare Crossrail's Canary Wharf station to receive Elizabeth, with workers breaking out the hard concrete at the tunnel eyes to allow for the machines to easily enter the station next year.